Carrie Underwood is doing press for her newest album and wore the cutest outfit today. I really LOVE her Parket top. It's super, super cute and has just the right amount of sheer and shine! The White House Correspondent's dinner was last night and the celebs were out in full force. Here's a recap on the Good, the Forgettable and the Busted looks on the red carpet. She's called The Body for a reason and Elle looked unbelievable in a black Romona Keveza dress. I love everything about this look. Elizabeth Banks wore the BEST Antonio Berardi gown. This is my favourite dress from the evening and something I would wear in a heartbeat. Love it! Kate Hudson's purple/blue Jenny Packham looked unbelievable on her. It's such a glamourous, classic look. Rachel Zoe wore a great Valentino. I really like the sheer, sparkly sleeves and tiered skirt. Reese Witherspoon looks so AMAZING in this black Monique Lhuiller. I'm in love with the neckline and the turquoise earrings. Absolutely stunning! I really like the Oscar de la Renta dress Zooey Deschanel wore. It's pretty, quirky and fun - just like her. Ivana Trump looked stunning in a sparkly floor length number. It's not a dress I would ever choose but she looks uber glamorous. Dakota Fanning wore an unbelievable Prada dress. I love it so much! The sleeves, cut-out, pattern...it's perfect. Anna Paquin wore a black Herve Leroux. She looks super cute with her baby bump. And so stylish! Eva Longoria wore a short white Marchesa dress. I like the dress but would have worn different shoes. Charlize Theron wore Emilio Pucci and she looks great but I find the dress really underwhelming. It's probably perfect for the occasion but I expect more from her. Ginnifer Goodwin decided to go with a lot of ruffles. The entire cut of the dress is really unflattering. Malin Akerman wore a really funny dress and shoes. I don't think the dress is bad but I just don't find it flattering on her. If Charlize would have worn this it probably would have been stunning! Kate Upton wore Alexander McQueen. She's smokin' hot and so beautiful (has everyone seen how crazy she looks on the cover of the SI Swimsuit Issue?!?!) but she looked horrible last night. I don't know who thought it would be a good idea to style her hair like this or put her in a quasi-bathrobe/sheer dress shirt. Rosario Dawson wore a green dress from Marla's Dress Emporium...enough said. Irina Shayk thought it would be a good idea to wear a white 70s style jumpsuit. Obviously she's beautiful but I don't think choosing to look like a circus performer was a good idea. Okay, I love the Kardashian's and Kim is really beautiful but this is probably the most unflattering dress she could have possibly worn. It's beyond HIDEOUS! Green velvet?!?! WTF! Claire Danes wore a white satin number by Vivienne Westwood. It might just be the photo but this is not good. Gwyneth Paltrow was out and about this week in another fantastic outfit! 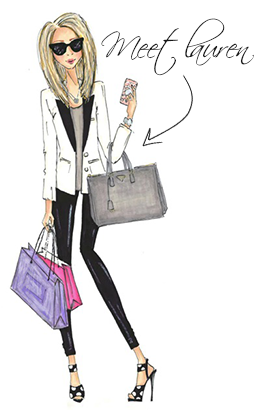 I love the white blouse/blazer, cropped pants and amazing turquoise heels. The entire look is so chic and effortless. 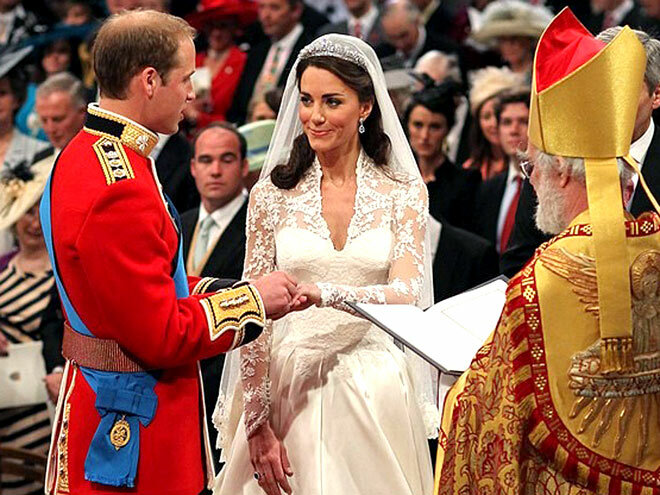 The dress was perfection and Kate looked every bit the princess. 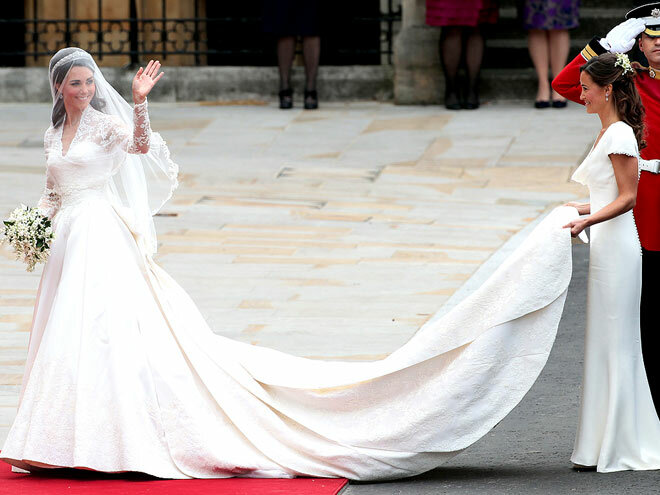 Her dress is going to go down in history alongside Princess Grace's wedding dress as one of the most beautiful Royal wedding dresses ever. 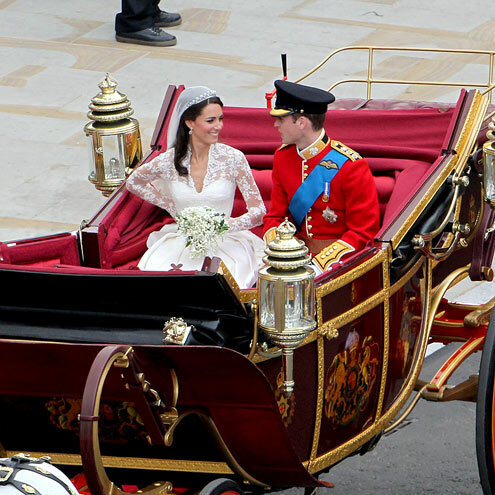 I think what I'm most shocked about a year later is how Pippa fizzled out after showing so much promise at the Royal Wedding. 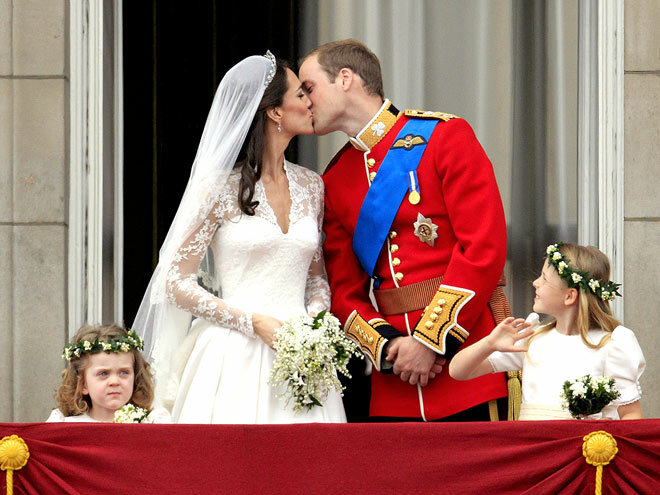 The balcony kiss was so cute! 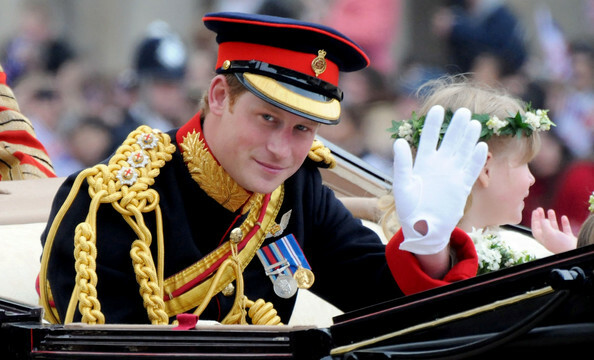 No Royal post would be complete without a picture of Hot Harry! LOVE HIM!!!!! Gwyneth Paltrow was out shopping with Apple wearing the BEST blue sequin IRO blazer. I am OBSESSED with this blazer and everything about this look. Seeing this outfit really makes me wish I could wear white jeans. Rachel Bilson wore the cutest outfit in Monday's episode of Hart of Dixie. I'm especially lusting after the McGinn trench coat! 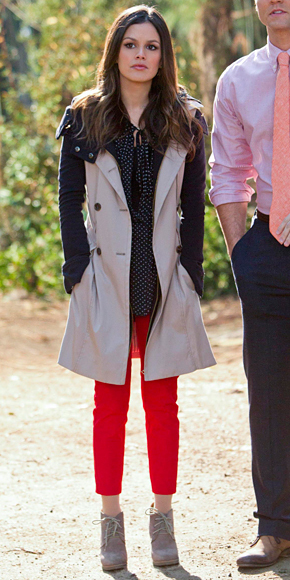 Her red pants and ShoeMint booties are super cute too. I've purchased a few new items lately and thought I'd share. My recent makeup haul has been inspired by Lisa Eldridge's amazing blog. For the lips I've picked up Chanel Coco Shine in Candeur which is a barely there pink (Amanda has this as well and her colouring is much darker than mine so it works for just about any skin tone). I've also picked up two new Chanel Glossimers in Bagatelle and BonBon. After debating whether to buy the Urban Decay NAKED palette, I finally caved and decided to try it. I have to admit, it has a pretty great range of colours. I also picked up the Chanel Les 4 Ombres eyeshadow set in Kaska Beige after seeing Lisa's video on how she applied the colours to Clemence Poesy (one of my style crushes). And I knew I had to pick up the YSL cream blush after seeing it in this post from Lisa on a minimal makeup look with a pink flush. The last colour is a BareMinerals eyeshadow in Cashmere. I also ordered this AMAZING white blazer from Zara. 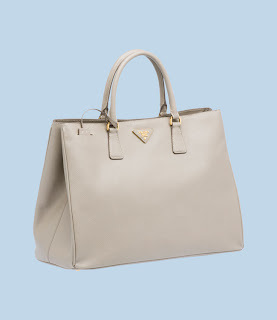 I'm astounded by how great Zara is right now. There are so many fantastic things (especially the collection of blazers) it's extremely difficult to decide on what to get. I'm currently on the hunt for a new foundation. When it was announced that Prescriptives was being discontinued I bought my foundation, concealer and powder in bulk. Unfortunately, I'm using the last of my supplies now so I need to find some new products. My criteria is the foundation must be oil-free and natural-looking however I don't want to be shiny. 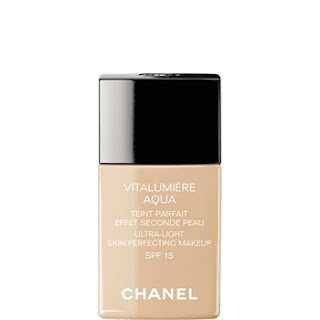 Kristina over at Pretty Shiny Sparkly has been raving about Chanel Vitalumiere Aqua for a while now so it's on the top of my list to try. It's not available in Canada right now but Amanda was in the US on the weekend and was able to get me a sample to try out. I'm very excited to see if this foundation lives up to all the hype. I'll let you know how it works. And if you have any recommendations for foundation, loose powder or concealer I'd love to hear them.